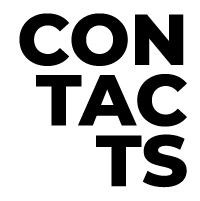 In the past few years, we’ve seen ICTs improve our daily habits and living environment in so many ways. “Smart cities” are a trending topic and we at Leva are among those who dream of them becoming a reality, with solutions like digital and connected street furniture. 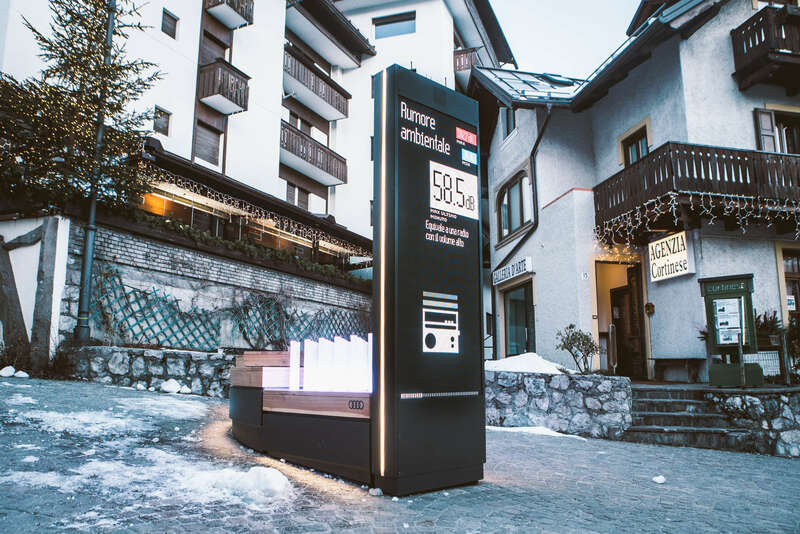 That’s why we were very excited when TODO asked us to collaborate with them on Audi Digital Points – in partnership with architecture firm Point Architects, whom Audi had entrusted with the project in view of the 2021 Alpine World Ski Championships. 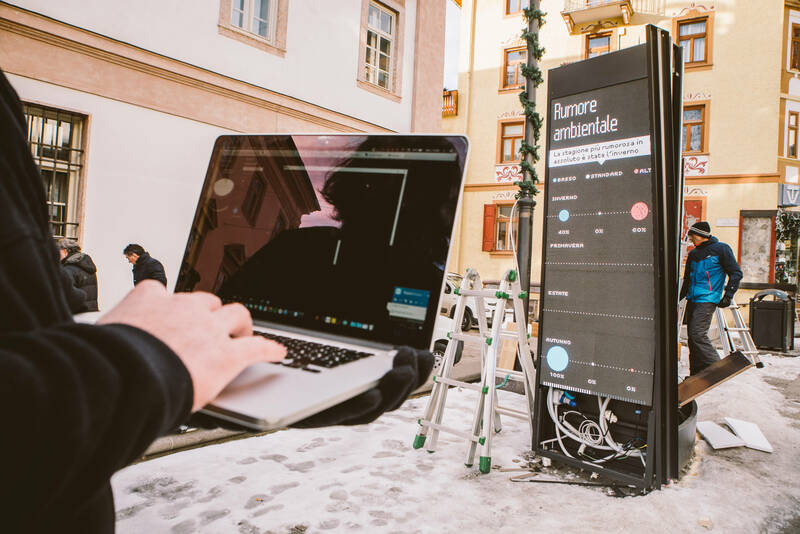 The project revolved around five “digital points” – smart installations connected to digital benches in the streets of famous winter resort, Cortina D’Ampezzo (Italy). 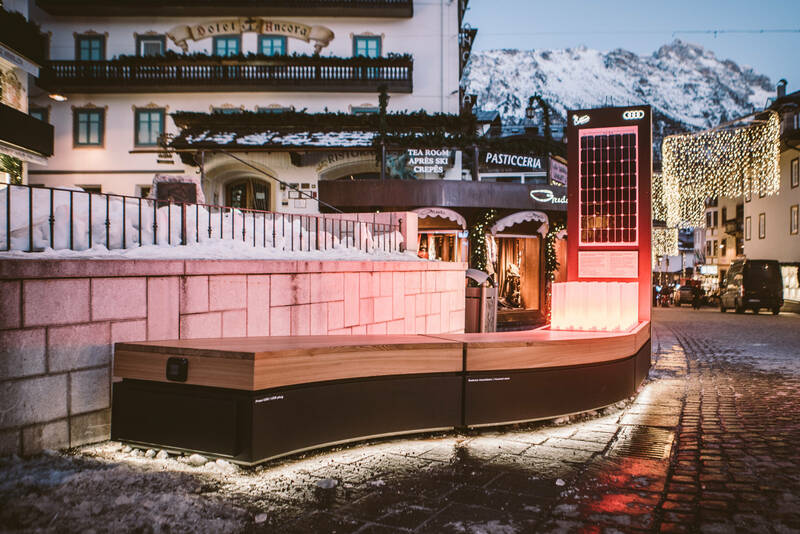 Every bench had to display important environmental information (on weather conditions, roads visibility, noise pollution, and solar energy produced by the integrated PV panels), via an LED wall and small light installations that metaphorically reference blades of grass. ‍Our challenge was to develop the hardware system that would control the “grass” illumination and its communication with the LED wall. The hardware for Audi Digital Points was developed and produced entirely in our workshop. Prototyping is a core part of our method, and we had a lot of fun with it on this project. 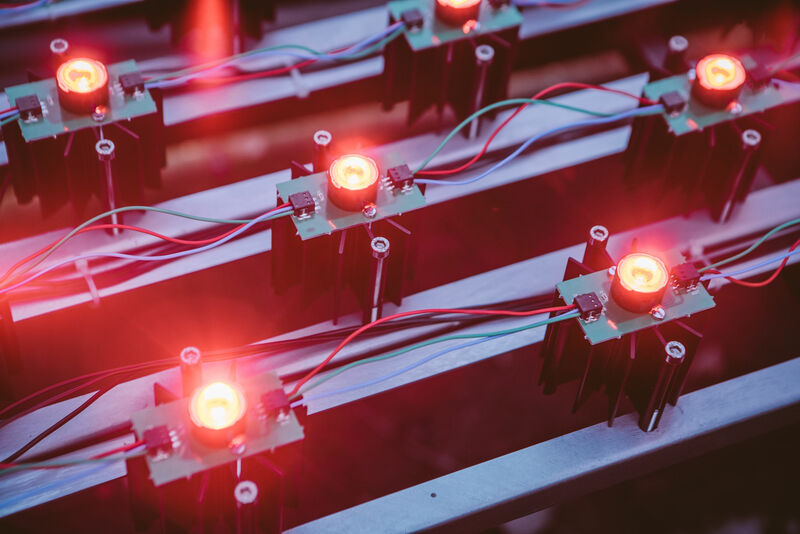 Our team spent days shaping and printing 3D components, testing high-intensity RGB LEDs and designing electrical circuits. We love to consider every technical and aesthetic detail, so we tested light beams with different levels of concentration and carefully defined the distance between the diode and the illuminated body in order to find the right hue and intensity. Our iterative approach ensured that every blade of grass was perfectly lit up both in the dark and in sunlight. At the same time, we developed the electronic monitoring system with constant current. 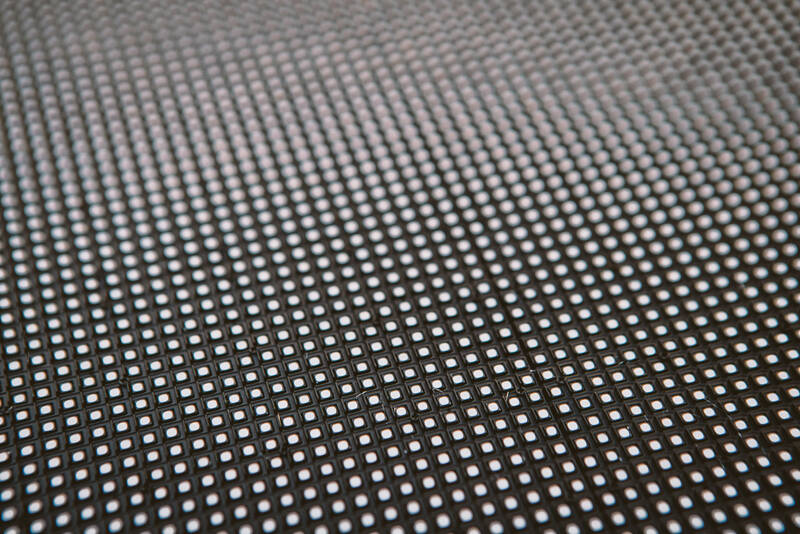 Our board allows the LED matrix to communicate with the walls to gather data, and allows for the chromatic shift in the diodes’ light. Obtaining stable and consistent illumination was our main goal on the project in order to offer a great result and guarantee a positive experience to users. 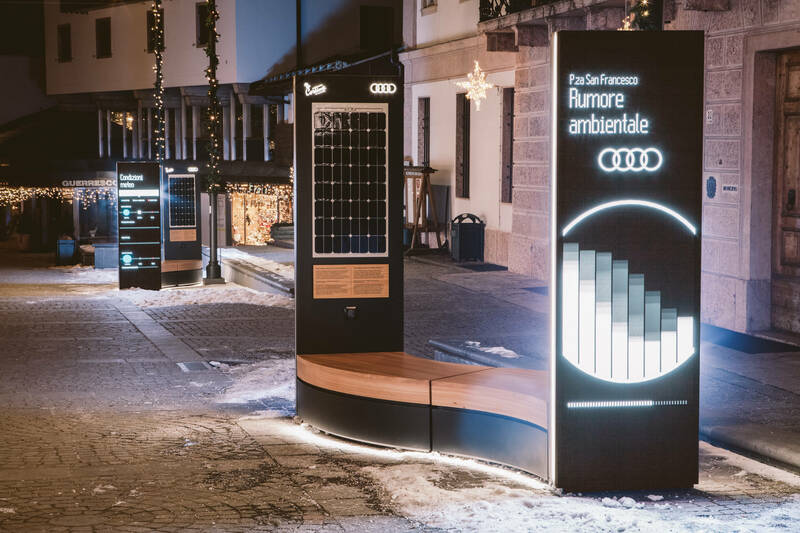 From our workshop to the streets of Cortina D’Ampezzo, the circuits and LED matrixes for Audi Digital Points were designed and produced at record speed, in less than a month. It was a challenging and fun project that makes us proud to have made a small contribution to the evolution of smart cities as a place where everybody (including us) wants to live.